© 2011-2018 Just In Time Refrigeration All rights reserved. Thank you for your interest in Just In Time Refrigeration! We are a full service commercial restaurant and kitchen equipment repair company. We have been serving the greater Phoenix area since 2002 and collectively have over 100 years of experience. Just In Time Refrigeration services ice machines, refrigeration systems, hot food service equipment, commercial HVAC and return air systems. We pride our self on excellent service and outstanding customer relations. We have built a solid customer base and can provide references upon request. Want to save money on air conditioning repair or service??? With recommended regular maintenance on refrigeration equipment, we can help you avoid costly repairs by preventing future breakdowns, maximize equipment efficiency, optimize power savings, and extend the life of your equipment. Just In Time Refrigeration has competitive preventive maintenance and AC repair programs. Our signed Preventive Maintenance customers receive a lower hourly rate and lower all-over prices. What Just In Time Refrigeration Can Offer Your Business? 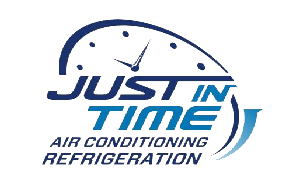 Just In Time Refrigeration is committed to providing each and every customer with the best service available and ensuring complete customer satisfaction before, during and after every service call.